What It’s Like to Grow Up With More Money Than You’ll Ever SpendAbigail Disney, heiress to the Disney fortune, on being raised with wealth. Abby Wambach Wishes She Didn’t Buy All Those Watches and CarsThe soccer legend retired at 35, but still needs a paycheck. How Awkward Can It Get When Your Friend Becomes Your Boss?When it comes to your paycheck, pretty awkward. ‘I’m Terrified of Messing Up Now That I’m Out of Debt’So you made some money mistakes in your 20s. Here’s how to get back on track. Why Is Stalking People on Venmo So Addictive?I can’t look away from my friends’ (and ex’s) Venmo feeds. When Asking for More Money BackfiresYou need a raise. But getting it isn’t always a yes-or-no question. What to Do If You’re Paid Less Than a Male Co-WorkerHow to raise the issue, step by step. ‘I Make Six Figures As a Travel Influencer’Former French teacher Oneika Raymond now gets paid to travel the world. Trying to Buy HappinessTo me, it means having a sensible plan. ‘It’s Like I’m a Naked Shrink’What it’s like to have a side gig as a tantric masseuse. What My Immigrant Family Taught Me About MoneyMy grandmother kept cash in a shoebox hidden in her closet. The Fear of Losing It AllWhat happens to your brain when you worry about money. How to Be a Writer and Still Get Really, Really RichJessica Knoll can afford a Porsche, a house, and expensive therapy. How to Negotiate a Salary After a Job Offer: 6 Tips to Get More MoneyThe safest time to bring it up, what to say in two sentences, and more. Beyoncé’s Underwear Designer Quit Her Job in Banking to Learn to SewNubian Skin founder Ade Hassan always had bigger ambitions. Unlearning My Buffet MentalityWhen it comes to money, my gauge has been off. Cat Marnell Pays Taxes NowAfter two years of living abroad in cheap hotels, the writer is ready to get back to work. Why We’ll Never Get Rid of Our Money AnxietiesBut here’s how to manage the worst of them. What Is Success Supposed to Feel Like?Writer Megan Abbott has finally made it big in Hollywood — but she doesn’t always feel that way. My Parents Think I Can’t Support Myself Financially. What If They’re Right?You’re the one who needs convincing, not your parents. How I Get It Done: Money Expert Farnoosh Torabi Splurges on a Personal StylistThe author and podcast host on being the breadwinner, affording a personal stylist, and splitting finances with her husband. How to Ask for a RaiseBefore approaching your boss, here’s everything you should know. The Sweet Satisfaction of a Childhood HustleSeven women on their earliest business schemes, from toothbrush bracelets to repurposed zucchini muffins. My Deep, Burning Class RageI’m angry at everyone who’s had it easy. How Much Money Means You Don’t Have to Worry?I feel guilty about making more than my parents, and envious of the friends who make more than me. What Winning $250,000 at Poker Taught Me About MoneyAt first, The New Yorker’s Maria Konnikova was just writing about poker. Then she started winning. Actually, Women Do Ask for Money. They Just Don’t Get It.Here’s the real reason why you didn’t get that raise. Welcome to Your Financial ReckoningTax season is here. It’s time to get in control. How I Get It Done: Gaby Dunn, Host of the Bad With Money PodcastThe journalist-slash-comedian on influencer discounts, affordable therapy options, and learning to deal with her own finances. The Year I Destroyed My FinancesI asked myself, who made these rules and what’s really going to happen if I don’t follow them? I Retired at 38. Here’s What I Didn’t Expect.Quitting my career in my prime wasn’t as easy as I thought it would be. What Salary Should I Ask For? How to Figure Out Your Worth.Don’t trust salary websites. What I Bought With My Oprah’s Book Club MoneyAuthor Tayari Jones never thought her writing would pay the bills. Then, Oprah called. What Else Is There to Talk About Besides Money?I know that we have enough, even if it doesn’t free us from accounting that reminds us of that. My Year of Living Like My Rich FriendShopping with her was like buying drugs and doing the drugs, simultaneously. What Is Enough?Saving money feels like insurance, like proof, like wearing pants. The Freelancer’s Guide to Feeling Good About MoneyFive tips for keeping track of your finances when you become your own boss. 5 Simple Strategies to Save More Money This YearHere’s where to start. 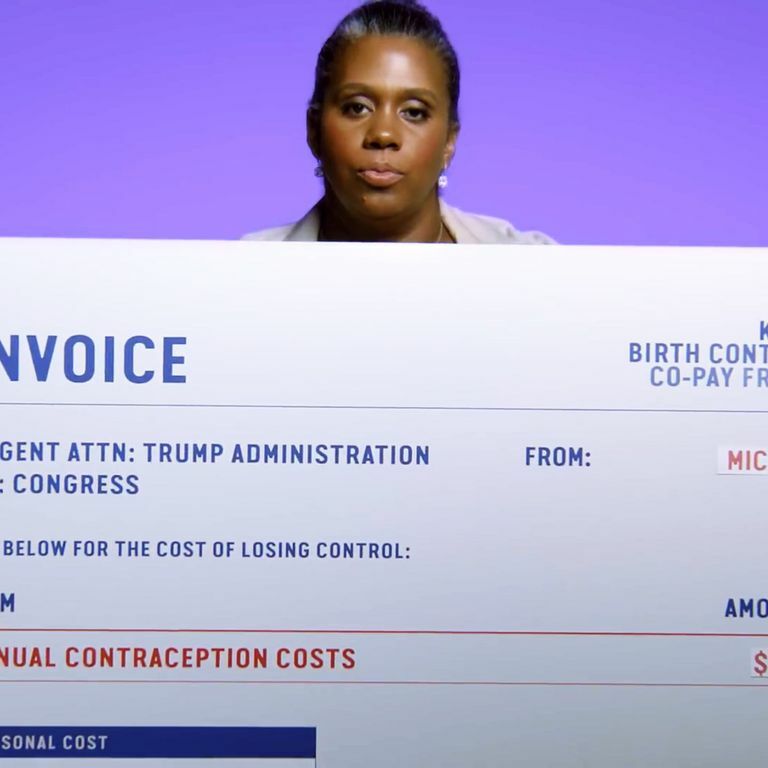 Here’s How to Invoice Trump for Your Birth ControlAn invoice generator in response to Trump’s decision to roll back the birth-control mandate.